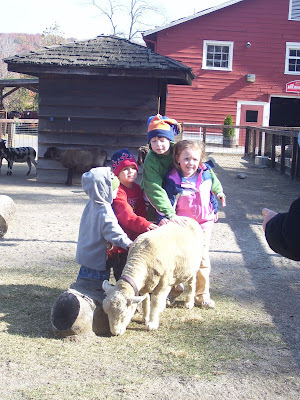 Vinson Boys: Sheep, Bears and Mandy, OH MY! 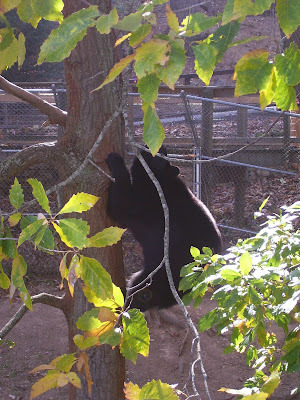 Yes, that is a BIG, black bear sitting on a limb! 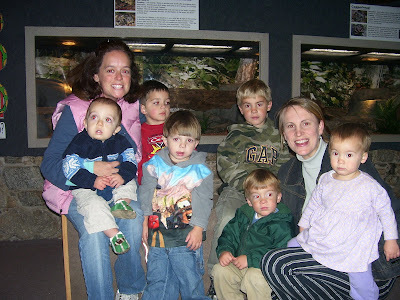 Talk about a day of sure fun, our family spent Saturday morning of my birthday weekend at WNC Nature Center. 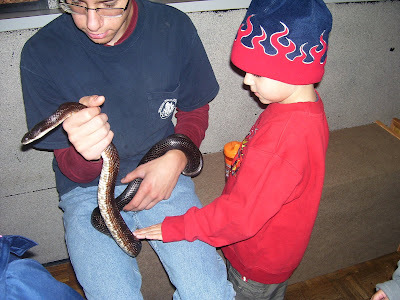 IT had a combination of inside reptiles and insects and outside creatures. We saw peacocks, otters, mountain lions, black panthers, coyotes, a black bear, deer, snakes, turtles, and even an added bonus, one of my college roommates: Mandy Walters! As we were finishing up our adventure we navigated back to the beginning and in walks Mandy. What a God thing! I had just told a mutal friend,"How fun would it be to pop in on Mandy since they had just moved to a town close to Asheville?" God had other plans, He brought us together. I was giddy the whole rest of the day just knowing that I had quickly embraced a sweet friend whom I had not seen in many years....too many. She has 4 beautiful children. Three were with her and one has gone on to be with our Heavenly Father. Mandy just was radiant! She loves being a mama nurturing her young. Oh, I was just a delightful surprise!